The MONTHLY YIDDISH DANCE GROOVE! Are you ready to party? 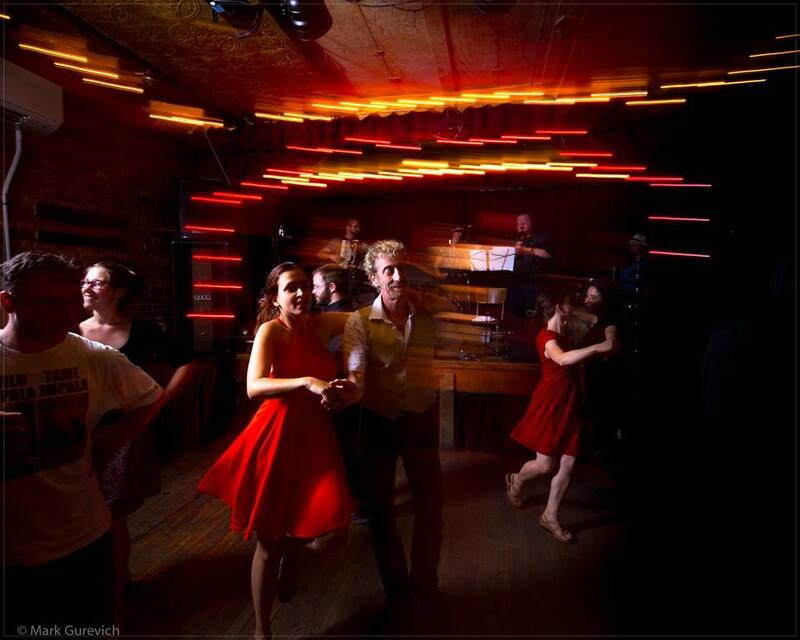 Be part of the ongoing cultivation of a lively Yiddish Dance scene. Gain confidence and competence in a wide variety of dances to klezmer music as we learn and enjoy dances in groups, couples, squares, and solo. 2 or 3 dances will be taught each night, and the rest of the evening will be given over to enjoying dances led by top experts in the form, all to live music by some the region’s best klezmer musicians, with occasional surprise visiting artists. Steve is a teacher, choreographer, and performer of Jewish dance, particularly Yiddish dance, the dance to klezmer music. Born on Governor’s Island, Bar Mitzvahed in the Bronx, and living now in Philadelphia, Steven Lee Weintraub received his dance training in Manhattan with Alvin Ailey and Erick Hawkins, among others. He is in international demand as a teacher of traditional Yiddish dance at festivals and workshops including Klezkamp, Klezkanada, and festivals in Krakow, Furth, Paris and London to name a few. Steven delights in introducing people to the figures, steps and stylings of the dances that belong to Klezmer music. He has often been called the “Pied Piper of Yiddish Dance”; his years of experience leading and researching Yiddish dance allow him to quickly weave dancers and music together in astonishing ways. Young and old, from all backgrounds, find it easy to share in the joy of Yiddish dancing. 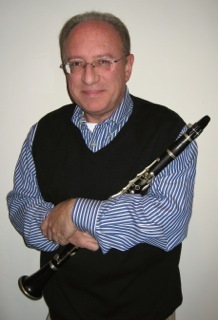 Ken Maltz, clarinet and leader, has enjoyed a career of remarkable accomplishment, diversity, and depth. As a founding member of Kapelye, the pioneering klezmer band, he has performed in hundreds of appearances on stage, television, radio, and film throughout North America, Central America, and Europe and is known throughout the world as a leading figure in the klezmer revival. Such diverse sources as The New York Times, The Times of London, and The Berlin Morning Post have spoken of his performances in the most glowing terms. He has appeared in the feature films Over The Brooklyn Bridge and The Chosen, for which he received additional credits as musical arranger. Ken has performed with such greats as Itzhak Perlman, Fyvush Finkel, and Cantors Joseph Malovany, Ben Zion Miller, Moshe Koussevitsky, Robert Abelson, and Alberto Mizrachi. In addition to his career as a performer, he has composed musical scores and sound effects for Bantam Doubleday Dell audio books including the popular Star Wars series, which features his music alongside that of Oscar-winning composer John Williams. He is a member of the American Society of Composers Authors and Publishers (ASCAP) and the American Federation of Musicians, Past President of Local 1665 of the American Federation of Teachers, and serves on the Board of Directors of Long Island Traditions. Lauren Brody is an internationally renowned accordionist, singer, and researcher as well as a professional piano tuner/technician from New York. 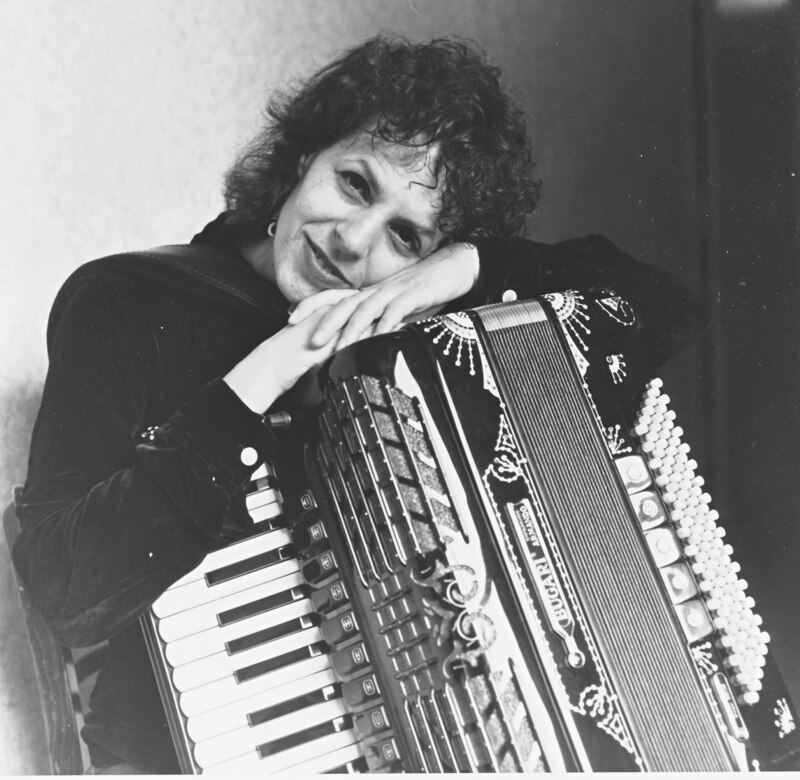 She is a pioneer of the klezmer music revival in the United States and a founding member of the groundbreaking band “Kapelye”, formed in 1979. She has toured extensively, and recorded and appeared on film and television with Kapelye, with the all-female ensemble “Mikveh”. Lauren has played regularly at concerts and festivals with musicians and singers in the klezmer music world such as The Klezmatics, Andy Statman, Michael Winograd, David Krakauer, Alicia Svigals, Frank London, Merlin and Polina Shepherd and others. She has had a similarly pivotal role in the Balkan music scene in the United States, both as a teacher and as a performer. Lauren has taught regularly at both the EEFC’s Balkan Music and Dance Workshops, at Klezkamp, KlezCalifornia, KlezKanada and Yiddish New York. As a vocalist and keyboard player, she toured and recorded with the “Yuri Yunakov Ensemble” and the “Ivan Milev Balkan Folk Band”. Her research activities include a Fulbright grant to conduct a historical study of the commercial recording industry in Bulgaria. This study yielded two groundbreaking reissues of 78 rpm recordings of Bulgarian Folk Music: “Song of the Crooked Dance” (1998, Yazoo Records) and “Outsinging the Nightingale” (2010, JSP Records). She is currently involved in singing, playing and composing new music for her own solo project “Lauren Brody’s Accordion Bytes”. Visit songofthecrookeddance.com for more information. 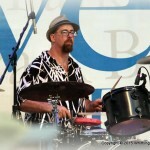 Aaron Alexander, drums is co-founder and director of the NY Klezmer Series and a Klezmer & Jazz drummer. He has performed with many of the world’s foremost Klezmer & Yiddish musicians. He writes music and has released several CDs as a leader as well as being a member of collective groups and has worked prolifically as a sideman over a number of years. He is happy to work with Ken, Lauren and Steve on this project. He’s also worked with Greg Wall (NYKS co-founder), Frank London, Pete Sokolow, Alicia Svigals, Klezmerfest, Klezmatics, Kleztraphobix, Mazeltones, Theo Bikel, Adrienne Cooper, Zalmen Mlotek, Eleanor Reissa, and many others. 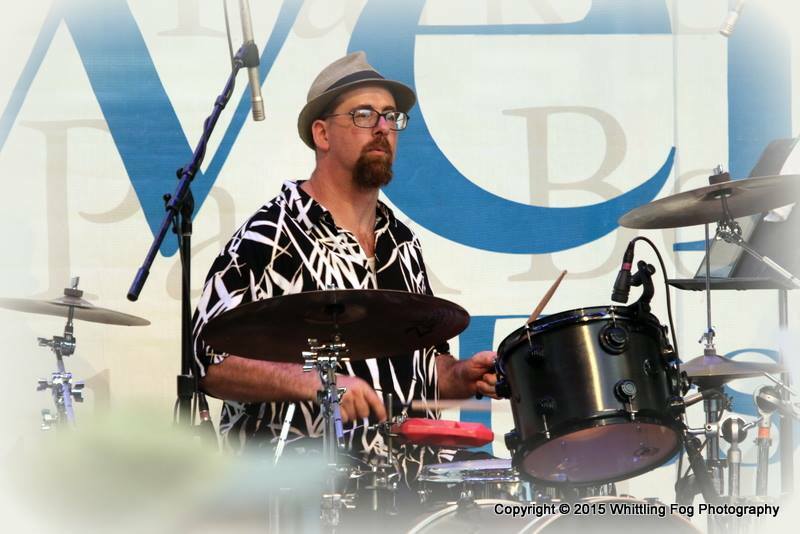 Jordan Hirsch learned Klezmer music the old fashioned way: on the bandstand, playing the music in its natural setting with such luminaries as Paul Pincus, Rudy Tepel, Danny Rubinstein, Howie Lees, and most significantly, Ray Musiker. 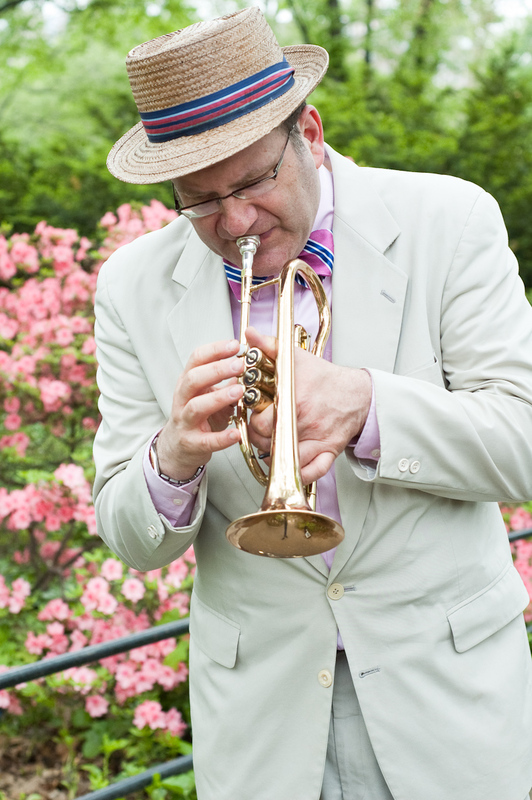 He is one of the few remaining trumpet players currently active on the NY Simkhe circuit who cut his teeth playing with the first generation masters of Klezmer and chasidic music. He plays with Klezmerfest, The Kleztraphobix, his own Overnight Kugel, and has been a mainstay of the National Yiddish Folksbiene Orchestra for ten years, playing for such productions as The Golden Land, Schlemiel the First, Amerike, Lies My Father Told Me, Die Goldene Kale, and the current record breaking production of Fiddler Afn Dakh, set to reopen at Stage 42 this February. He has performed and taught at KlezKanada and Yiddish New York, as well as the New York Klezmer Series. 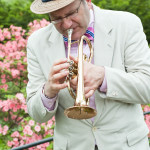 His trumpet can be heard on numerous recordings, with the aforementioned groups, as well as Dudu Fisher, Neshoma Orchestra, Shulem Lemmer, and many other projects.